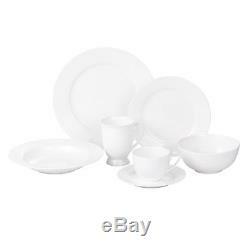 Set of 6 simple white Fine Bone China Tea Cup and Saucer from Dinner and Friends' Rim White tableware collection. Made from top quality Bone China and perfect for any dining occasion with simplicity and elegance. 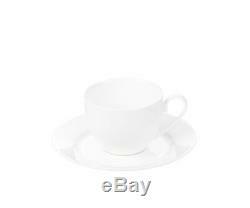 Product: Tea Cup and Saucer. Packing: Brown box set of 6. The item "D&F Fine Bone China Tea Cup and Saucer set of 6" is in sale since Wednesday, November 28, 2018. This item is in the category "Pottery, Porcelain & Glass\Porcelain/China\Other Porcelain/China". The seller is "yi-1523" and is located in Willenhall. This item can be shipped to United Kingdom.